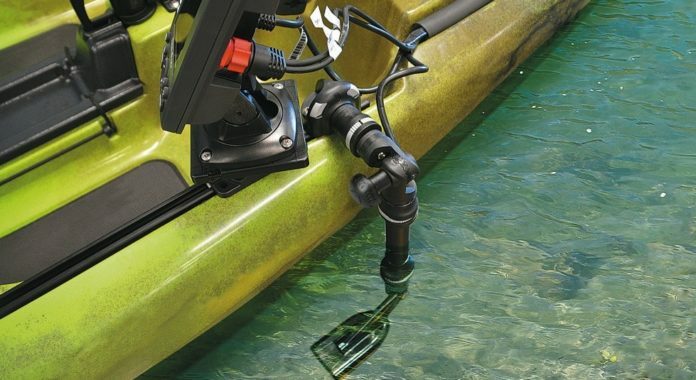 Can You Mount A Transducer In A Kayak Hull? 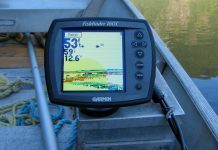 Home Fishing Tips Can You Mount A Transducer In A Kayak Hull? 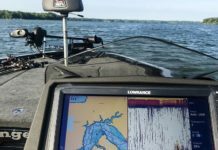 When you are shopping around for a kayak fish finder, a concern that usually pops up is whether or not you can mount a regular transom mount transducer inside a kayak hull. The answer is pretty simple – yes, you can! 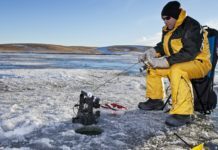 Since kayaks are made of plastic, the transducer is able to shoot the beam through the plastic into the water without much disturbance. So for a kayak, you don’t always need to buy a portable fish finder that comes with a suction cup transducer. 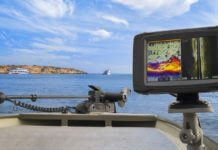 Choices in portable models are pretty limited when it comes to features and technology, so sometimes it’s better to just get a regular fish finder that you can mount onto your kayak with a little bit of DIY work. SONAR is sound, and sound travels very nicely through solids – so plastic won’t mess up the signal. To mount a transducer inside a kayak hull, you need to first prepare the area and clean it with some rubbing alcohol or spirit. Any dust particles or dirt that gets in the way will cause a disturbance in the image. Once the area has been cleaned, apply a generous amount of marine goop or silicon and stick the transducer in it. Once the silicone sets, the transducer will be fixed, and you are good to go! When applying the goop or silicon, MAKE SURE that there are no air bubbles trapped inside! SONAR waves get messed up if they hit air, so you won’t see a good return on your screen. 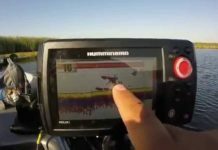 If you aren’t too big on doing so much DIY work, you can use this nifty little kit that Humminbird makes for mounting a transducer in a kayak, which includes everything from cleaning, mounting, and sticking. 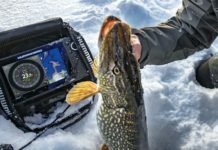 Cheap Fish Finders – Good Or Bad?